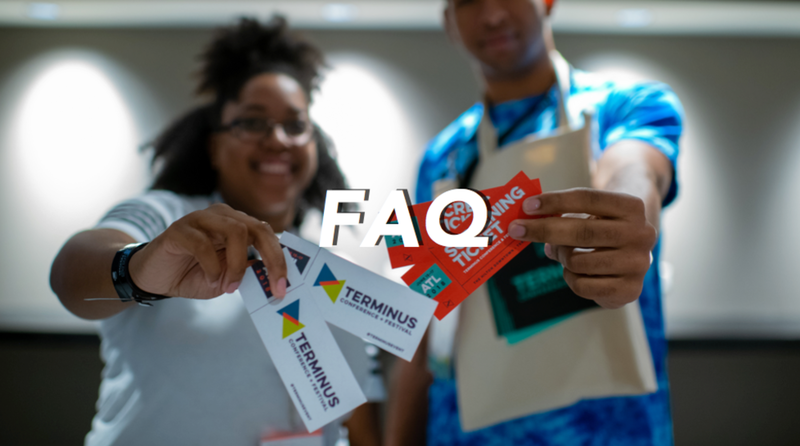 We want to showcase your work at TERMINUS (June 15-17, 2018)! Submit for an opportunity to screen as part of our celebration of films and games being produced by the brightest and most innovative minds across the country. Selected films are judged by a jury of industry professionals and compete for Golden Tripod Awards and prizing. Any narrative work, in any genre, with a runtime of 30 minutes or less. Selected films to this category are eligible for awards and prizes including a 12-month subscription to Adobe Creative Cloud. Any documentary work, including docufiction, with a runtime of 30 minutes or less. Selected films to this category are eligible for awards and prizes including a 12-month subscription to Adobe Creative Cloud. Any animated work, including those combining live-action and animation, with a runtime of 30 minutes or less. Selected films to this category are eligible for awards and prizes including a 12-month subscription to Adobe Creative Cloud. Scripted or improvised fiction in any genre, with a per episode runtime of 30 minutes or less. May submit up to 5 episodes as long as the total runtime does not exceed 60 minutes (1 hour). Multiple episodes must be uploaded as one continuous video. Selected films to this category are eligible for awards and prizes including a 12-month subscription to Adobe Creative Cloud. All submissions must be completed after January 1, 2016. Multiple submissions are permitted. Each submission must be accompanied by a separate entry and fee. Anyone between the ages of 17-24 may submit as a student, including those not currently enrolled in school. TERMINUS 2018 is not accepting feature submissions at this time. Campus Movie Fest films are already in consideration for TERMINUS 2018. Multiple submissions are permitted. Each submission must be accompanied by a separate entry and fees. Secure Online Screeners including Vimeo (preferred and the festival standard) and Youtube are accepted for preview screening. No other media will be accepted for preview. Submissions may be updated with a newer cut at anytime. However, TERMINUS cannot guarantee the judges will have time to re-watch films once they've been judged. A full refund will be granted for requests made within 72 hours of submitting to TERMINUS. No refunds will be honored once the 72 hour window has passed. This includes films that are removing themselves for consideration to preserve their premiere status, to meet the requirements of another film festival, or as requested by a distributor. Selected films grant TERMINUS the right to use stills and excerpts for promotional purposes. At the time of screening at TERMINUS, Filmmakers must hold the festival rights to all copyrighted music in their films. All selected films must be available for exhibition as a digital file. Films must be available for download (preferred) or shipped to the TERMINUS office on thumb/hard drives at submitter's expense. Drives will be shipped post-festival to the address provided. BLU-RAY AND DVD WILL NOT BE SCREENED FOR EXHIBITION. No. We accept submissions from filmmakers of all levels. That includes professionals with decades of experience down to filmmakers just starting out. Do Short Films Have To Be About Gaming? Nope. Films can be about any topic and are not restricted to any specific genre or topic. Are Accepted Films Eligible For Awards? All accepted films and games are in competition for a Golden Tripod award. A jury will narrow the films down to the top nominees, which will be revealed at the awards ceremony. Do I get a badge if my film is Accepted? Yes. Accepted filmmakers receive an All-Access badge and 10 tickets to invite family and friends to their screening block. Additional badges can be purchased at a special rate of $50.